In a recent ruling filed on May 4, U.S. District Court Judge, Michael Simon said the 2014 National Oceanic and Atmospheric Administration (NOAA) Fisheries Biological Opinion (BiOp) report on the Columbia Basin was not valid according to current law. The judge further expressed his concern regarding the impact of hydroelectric operations on area fish populations, including salmon and steelhead, which have continued to decline over the past 20 years. In the 124-page ruling report, the judge documented various reasons for concern and outlined laws impacting his decision regarding the 2014 BiOp, including NOAA Fisheries ignoring findings from a special review team, and actions that trend toward violation of the Endangered Species Act. Specifically, the judge noted that even "NOAA Fisheries acknowledges that the migration corridors, among other designated critical habitats, are degraded, are not functional, and do not serve their conservation role." Additionally, Simon noted that the Federal Columbia River Power Station has adversely modified critical habitat, and questioned the ability of such degraded habitat to again become fully functional. Simon further indicated that previous judges had called for major changes in the Federal Columbia River Power System, including removing at least one or more dams on the lower Snake River. The judge pointed out that all previous attempts to get federal agencies to consider alternate options -- ones that do not include mitigation efforts that minimize impacts from power generating operations such as habitat restoration -- have failed, and cost billions of dollars in the process. 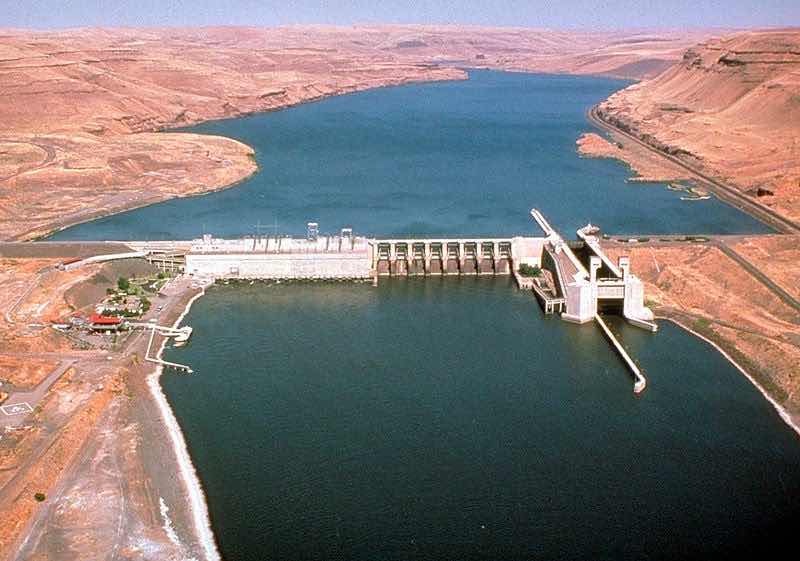 Citing additional concerns over pending and variable climate change impacts, and the history of failed efforts to revive area fish populations, the judge called for new efforts to improve dam operations on the Columbia and Snake Rivers. Judge Simon noted, "The Federal Columbia River Power System remains a system that 'cries out' for a new approach and for new thinking if wild Pacific salmon and steelhead, which have been in these waters since well before the arrival of homo sapiens, are to have any reasonable chance of surviving their encounter with modern man." The judge strongly suggested that the agency diligently follow the processes set forth in both the National Environmental Policy Act and the Endangered Species Act to help bring about new, innovative, and lasting positive change that would help the salmonids not only recover, but go on to thrive. The judge suggested that options may including breaching, bypassing,or removal of one or more of the lower Snake River dams to restore natural migratory routes to the salmonids and improve habitats. The judge set a date of March 1, 2018 for a new biological opinion and a complete National Environmental Protection Agency analysis that is in full compliance with the law.